In opposition after losing the general election in 1975, Labour was again defeated in 1978. 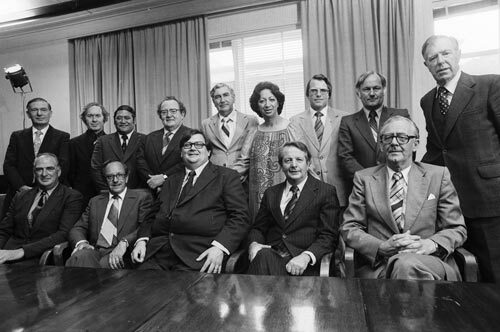 Rowling’s shadow cabinet is seen here on 17 December 1979. He remained leader of the opposition until 1983.